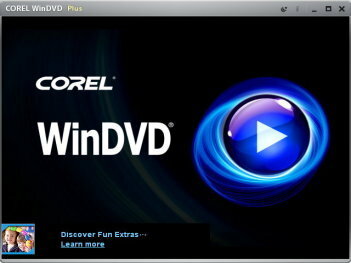 WinDVD 2010 - Blu-Ray delivers superior picture quality & audio performance on your PC. Maximize your DVD viewing experience with Blu-ray Discs, the new standard in high-definition. Enjoy standard DVDs with HD-quality upscaling, play home movies in HD and watch movies on the go with advanced laptop enhancements.Watch your favorite DVDs on your home theater system, desktop or laptop PC, and enjoy crystal-clear pictures with top audio performance. For movie lovers looking for the best that high-definition has to offer, WinDVD 2010 Blu-Ray delivers superior picture quality and audio performance on your PC. Maximize your DVD viewing experience with Blu-ray Discs, the new standard in high-definition. Enjoy standard DVDs with HD-quality upscaling, play home movies in HD and watch movies on the go with advanced laptop enhancements. Watch your favorite DVDs on your home theater system, desktop or laptop PC and enjoy crystal-clear pictures with top audio performance. With broad format support, state-of-the-art enhancement technologies and unique features for watching movies on the go, WinDVD 2010 offers the best entertainment experience. Qweas is providing links to WinDVD 9 2010 as a courtesy, and makes no representations regarding WinDVD 9 or any other applications or any information related thereto. Any questions, complaints or claims regarding this application WinDVD 9 2010 must be directed to the appropriate software vendor. You may click the publisher link of WinDVD 9 on the top of this page to get more details about the vendor.